Written by エスキューブ横浜. Posted on 2019年4月20日. Filed under SQ-CUBE横浜, 横浜◎隈元香子, 横浜イベント. No comments. Written by エスキューブ横浜. Posted on 2019年4月6日. Filed under SQ-CUBE横浜, 横浜◎隈元香子. No comments. Written by エスキューブ横浜. Posted on 2019年3月30日. Filed under SQ-CUBE横浜, 横浜◎隈元香子, 横浜イベント. No comments. Written by エスキューブ横浜. Posted on 2019年3月16日. 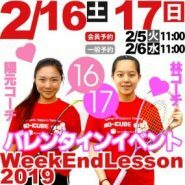 Filed under SQ-CUBE情報, 横浜◎隈元香子, 横浜イベント. No comments. Written by エスキューブ横浜. Posted on 2019年2月16日. Filed under SQ-CUBE横浜, 横浜◎隈元香子, 横浜イベント. No comments. Written by エスキューブ横浜. Posted on 2019年2月9日. 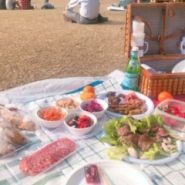 Filed under SQ-CUBE情報, SQ-CUBE横浜, 横浜◎隈元香子, 横浜イベント. No comments.